Start of a new Year and thinking of new ideas and things to create on a thrifty budget! That’s what I am doing:) Hope you are too. Good you came to the right place! 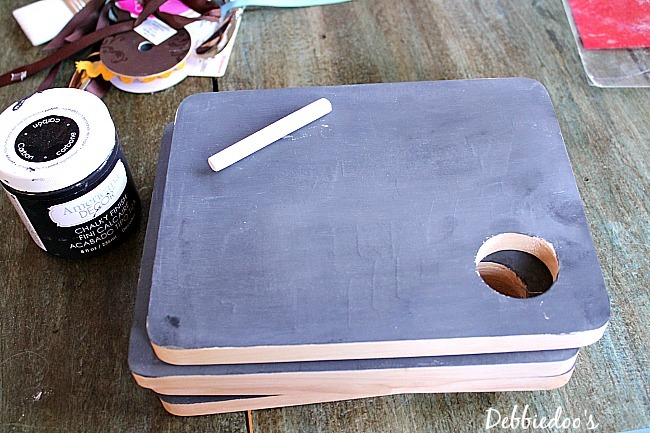 Ever wonder how to chalkboard a cutting board? Sure you have…good, I am here to show you how. Hope you are doing well and destressing from the holiday. This craft is something easy, personal and budget friendly that you can make for someone any time of the year or occasion. I picked up these cutting boards at our local grocery store. I thought they were so cute. I could not just leave well enough alone with these. As you can see they came with a cute little Christamas tree spreader. Out came the chalky paint in black. seasoned with my chalk after completely dry. I added my Debbiedoo’s original. You can also personalize these cutting boards with a name, or saying. I chose to keep some plain and personalize some others for gifts. 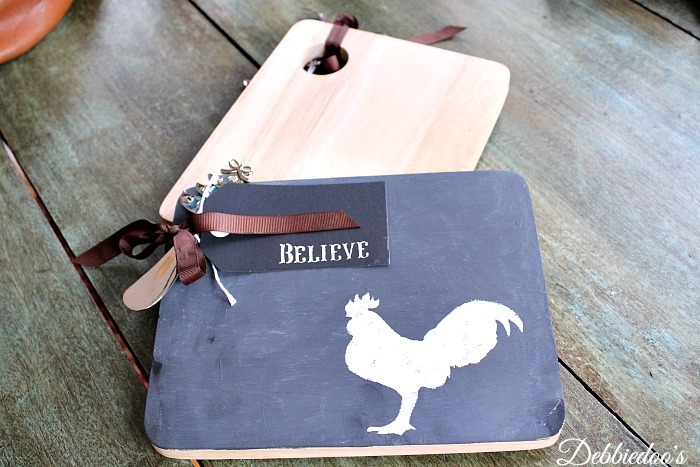 You may recall my chalkboard tags from my diy hostess gift idea. 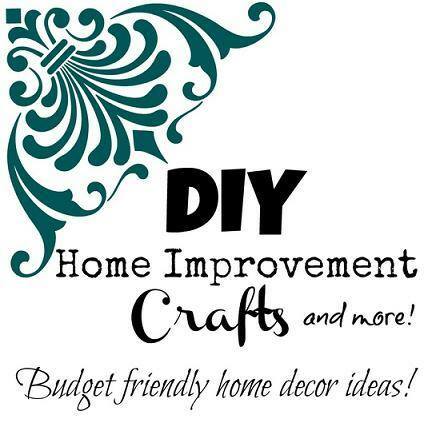 Don’t forget to check out my diy gallery of craft and home decor ideas! Oh and follow me around if you like! They are too cute Debbie. I am a fool for chopping boards and these called my name. Especially with the rooster stencil! Cute and a great gift idea, Debbie! Happy New Year! Very cute idea, Debbie! Thanks for sharing! Happy New Year! Cute idea, Debbie. I need to include it in my Christmas SMASH journal Christmas planner. I’m always looking for unique gift ideas for adults. This would be a cute hostess gift, too. Cute idea! And yes, great gift too. Amazing what you can find at the grocery store! Great little idea and so nice to have a few stashed away for gifts. You are seriously the most creative woman!!!! This is so fabulous and a must do. This would be perfect for a girlfriends bday. Love this idea. Cute idea! Those little cutting boards are great! What an awesome idea….but what stood out to me is the word “believe”. That’s the word I chose for 2014…or felt God prompt me to choose. This is just yet another confirmation!!! 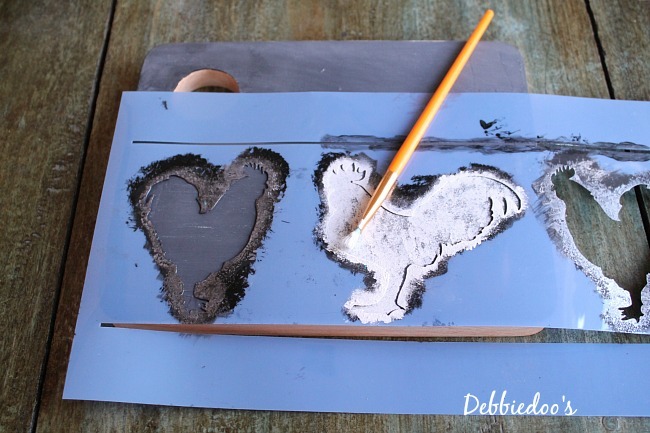 They are the cutest Debbie!..Your creative mind is always working 24/7..
Great idea Debbie… love cutting boards and chalk boards … so this pleases me. They turned out really cute and of course, just had to have a rooster on one. This is such a Great idea and I LOVE how they can be personalized. So CUTE!!! Super Cute Miss Crafty!!! You are off to a great start for 2014!!! …just as cute as can be….You always come up with the neatest things…. You had me at chalkboard! 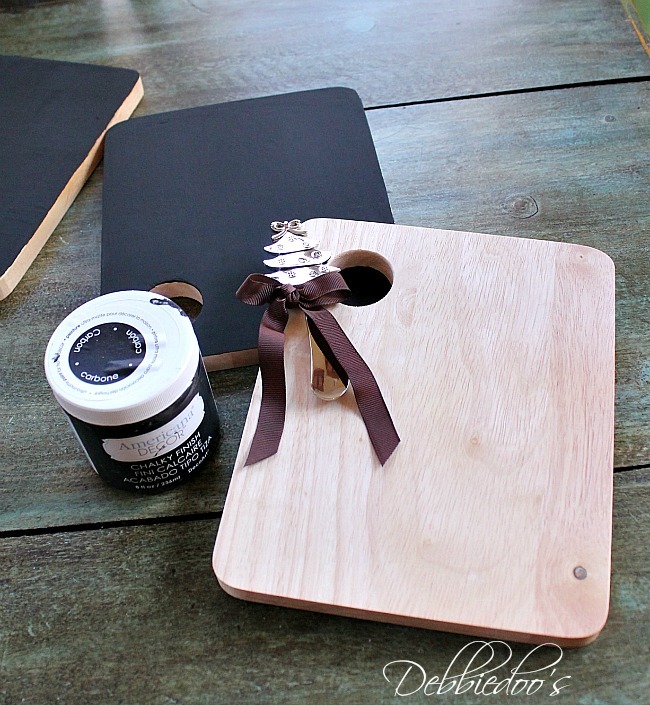 I paint and decoupage cutting boards I find at thrift stores, but I’ve never done them in chalkboard paint. Great idea! They look so cute and are wonderful gifts.